Video: Canelo-Golovkin II - Big Drama Show? 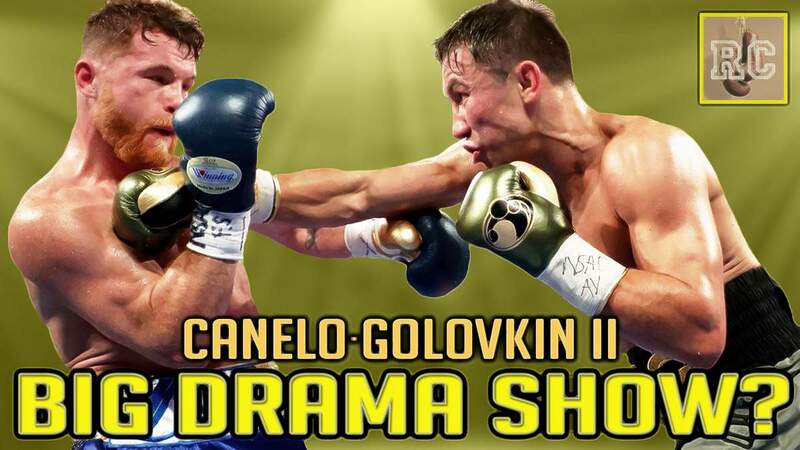 Video: Canelo-Golovkin II – Big Drama Show? There was a lot of big drama surrounding the highly visible negotiation process between the camps of middleweight elites Canelo Alvarez and Gennady Golovkin. It looked as if the fight was not going to take place, at least not this year. Die-hard fans of Canelo and Golovkin can be seen arguing all over the internet regarding how the purse should be split between the two boxers. This is becoming common practice where these types of things have become acceptable modern day negotiating tactics. When the dust all settled, the latest round of theatrics resulted in the two sides reaching an agreement. The rematch will take place on September 15 at the T-Mobile Arena in Las Vegas, Nevada – just one day shy of a full year since the two first battled to a somewhat controversial draw. The draw was controversial in its own right, but the real horror that made this decision an absolute fiasco, was the horrendous scorecard of Adalaide Byrd, who inexplicably scored the bout 118-110 in favor of Canelo. That scorecard was awful, simply awful, and in no way indicative of the action that had transpired inside the squared circle between these two talented pugilists. It will have been basically a full year since Canelo last fought, that being his first fight with Golovkin. Gennady is coming off of a 2nd round knockout victory against Vanes Martirosyan, who stepped in as a last minute replacement when the original May date for the Canelo-Golovkin rematch was canceled. It should be noted that Martirosyan had never previously competed as a middleweight, and he was coming off a nearly two year stretch of inactivity, but all the same, Golovkin was the first man to ever stop Vanes in a professional prizefight. This edition of Rummy’s Corner takes a quick look at all of the recent drama, with the first rematch date being canceled, Canelo testing positive and getting suspended, and the drawn out negotiation process that made this rematch a reality. This edition also explores the question – will the rematch between Canelo and Golovkin produce a ‘Big Drama Show’ inside the ring on fight night? To get one man’s opinion, please watch and enjoy the video. Next boxing news: Happy Birthday to The Greatest Living Fighter – Roberto Duran! You are here: Home / Boxing News / Video: Canelo-Golovkin II – Big Drama Show?